The average fuel economy of light vehicles sold in the U.S. increased 0.2 mpg last month from February, according to a monthly report by the University of Michigan Transportation Research Institute. 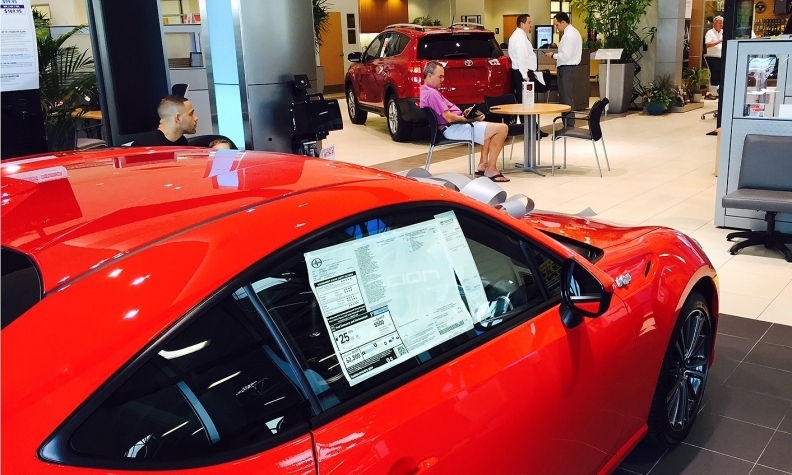 The report, by researchers Michael Sivak and Brandon Schoettle, said the average window-sticker value of new cars, SUVs, vans and pickups sold in the U.S. last month was 25.4 mpg, up from 25.2 in February. March marks the 14th consecutive month that average fuel economy has been above 25 mpg. Average fuel economy is up 5.3 from October 2007, the first full month of monitoring, according to the report. But the average fuel economy of 25.3 during the October 2014 and March 2015 period -- the first six months of this model year -- was unchanged from the full year earlier-- October 2013 through September 2014. “We can probably expect as the model year finishes that the fuel economy will come up a little bit, but usually by the six-month mark, it’s up a little from the previous year,” Schoettle said. January was the first month fuel economy had risen since its 25.8 mpg high in August. From September through November, it remained steady at 25.3 mpg, and in December fuel economy dipped to 25. The University of Michigan Eco-Driving Index, another study by the institute, tracked average monthly greenhouse gas emissions of each new-vehicle driver in the U.S. for January. The index was 0.82, unchanged from December, which means the average new-vehicle driver generated 18 percent lower emissions in January 2015 than in October 2007, when researchers started monitoring the emissions. A lower score is better. It is compared with a base score of 1 from October 2007, when the data collection began. Sivak and Schoettle based the index on the fuel used per distance driven and the amount of driving. The amount of driving comes from data published with a two-month lag.